Rabid Canterbury, Crusaders and All Black supporter currently based in Sydney. Active player in the Sydney subbies rugby competition. Picture the scene. 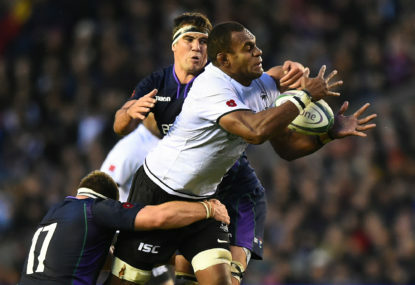 It’s November 2022 and Fiji are facing Scotland. One of the great challenges of writing about the grassroots is that it’s a rather nebulous term. A while ago I got into a few discussions about the approach to carrying the ball into contact and thought it might be interesting to have a look at some of the prevailing approaches to the carry, who is being responsible for the carry and how it affects both attack and defence. A while back I wrote a piece on the back row in the context of Australia’s recent difficulty in balancing those positions. This time I want to take a look at lock forward and how the position is fast becoming the bellwether position in the modern game. Cast your mind back some nine months to January 2017. 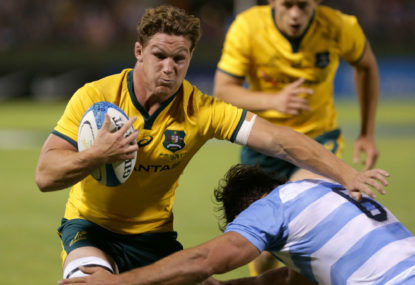 Australian Rugby is at a low ebb, the Wallabies have had a poor 2016 season with only six wins from 15 games including four losses to England and three to the All Blacks. 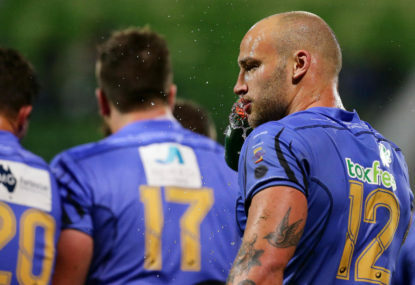 In October the Western Force announced an initiative to to be given control of the club back from the ARU. 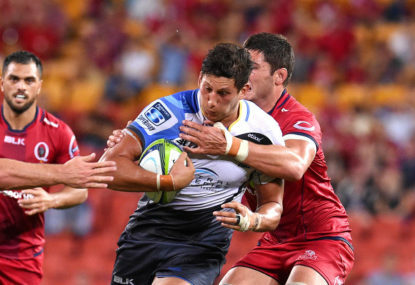 Key to the plan is the proposal to sell 5000 certificates of ownership at $1,000 each, raising $5 million as a sign of the support for the Force from the rugby community. 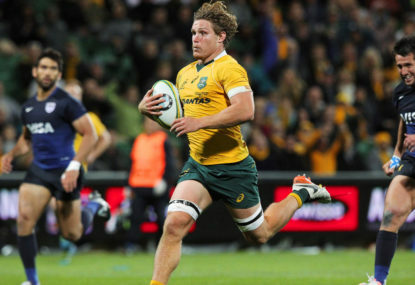 There has been a lot of ink spent recently on the makeup of the Wallabies backrow. 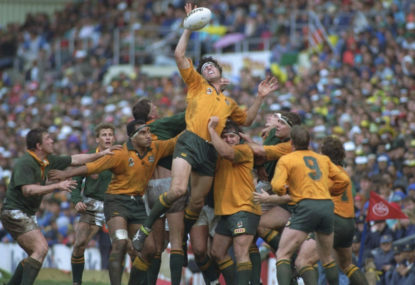 The general consensus seems to be that while Australia has no lack of international level players, there is a lack of a genuine lineout target or the right balance of skills. He seemed to have his phone on him when I saw him walking out of Sydney Uni circa 12:30pm on Wednesday DC. Plenty of money and commercial opportunity for Adidas and AIG in Germany, Russia and Spain. It might actually be worth more to them as they aren’t competing to be associated with rugby like they might be in more Rugby saturated markets. Like I say it’s complex but the commercial argument certainly isn’t set in stone. Money is certainly the issue, though as I understand the southern hemisphere unions LOSE money on their northern tours at present due to the extensive cost of touring parties and the pittance provided in match fees. Key here is I have said stop touring the 6 nations countries. Can still travel to the US, Canada and some of T2s in Europe. Cheaper, they have better leverage with the smaller sides to split the gate receipts and broadcast monies and can spread their sponsors brand to more markets. So I think maybe they can end up in a position of being not substantially worse off, though it’s extremely complicated. Just so disingenuous. The fears around player welfare boil down to “it’s okay for the southern hemisphere players to have to travel around the world down there but not for ours to have to”. Also clearly England’s fear of relegation is ridiculous, given they have never gotten the wooden spoon in the 6 nations and haven’t had a wooden spoon finish since 1986. Not even mentioning they would have to lose a play off game to the winner of the second tier compeition which will be made of teams England has NEVER lost to. Seems to me they just don’t like the idea of ceding any authority to WR and would rather sell their soul to private interests in the name of “independence”. The only reasonable response from SANZAAR nations will be to refuse all games to 6 nations teams. Let them play each other over and over again all year, diluting the contests, reducing their revenues and let them bath in the shortsightedness of their decision. But you can’t do that without adding more games which can’t be done due to player burn out, or removing games between T1 nations which people actually want to watch and which drive revenue. This way 3 tier 2 nations (1 in the north and two in the south) get solid game time for two years and if they manage to hold their spot then we might see the occasional tier 1 side getting knocked down and another T2 side getting a crack. Also it allows World Rugby to collect cash to then pay to help further develop T2 nations. Whether or not it ruins the world cup is really a matter of perspective, and how different you find a year long ladder of matches which largely already exist, compared to a tournament with what could be 4 knockout rounds. On the current proposal, Fiji would get 11 games against top tier nations for as long as they can stay in the top flight. After that, any team that manages to get promoted gets 2 years of top level rugby. It’s not consistent but it’s a whole lot more than they get at the moment. As for the world cup, expanding it to a full 24 team competition across 2-3 months would be a very different prospect. As I said above, this would then be a full world tournament as opposed to what is really just a season ladder. It;s also too hot in November in the SH and we are used to NH games in November anyway. I don’t see it as being a huge issue. Depends very much on how the revenue gets distributed PK. WR could provide match payments to players to boost the attractiveness of playing for your country. (I get the feeling this might be why the player association is being so vocal). At that point threatening to pay players per game will just bring clubs back to the pack. Actually now I think about it WR should ABSOLUTELY pay match payments to players in this league!!! Bit of equivocation on my part there Geoff, I agree that it’s the Unions that matter. I hope it’s enough of a carrot for them. The problem as I see it is that the home nations see the 6 Nations as an unassailable product. It’s hugely popular, every game is a sell out and it’s very profitable. If they feel they can live off that foreever, regardless of how big the club game gets, they may not see the value of Nations Championship. I don’t know what their avenue of attack is though PK. They can’t complain about not having international players available, as largely this should result in less clashes with fewer international sides competing in November. No change to the 6 nations as it stands. Of course if World Rugby boosted reg. 9 to include a longer stand down or to include weeks before or between international matches then they might have something to cry about. Therein lies the rub though. What’s in it for the Northern Hemisphere teams? I guess the opportunity to host that final if their team doesn’t make it? Could be juicy, but otherwise they would have to be choosing the greater good of the game over their own financial security given the inclusion of promotion and relegation. So when you compare to the existing season there are 4 big changes. – 2 new teams in the RC. – Possibility of relegation in the 6 nations. – Trips south for European nations become tours instead of series. Looking at things from this perspective there is functionally very few meaningful differences. However it really does open up the game and provides a wonderful international structure which can compete year round with club rugby eyeballs. I actually really like the idea of relegation once every two years. It stops the bottom spot from being an absolute turnstile and gives the promoted team a year to get used to the higher level of rugby. Also the centralisation of the revenue, so long as it’s distribution remains transparent, goes a long way to equalising the international rugby dollar. With a chunkier, more internationally flavoured world cup (maybe with a cup and shield style approach for the top 12 and bottom 12 teams?) I think it could live alongside what is essentially just a ladder for what are mostly existing games. Most of the noise has said the finals will be played at neutral venues, with people mentioning Camp Nou in Barcelona and Soldier Field in Chicago as possibilities. Given the timing it’s highly unlikely that it will ever be hosted in the southern hemisphere. That’s a bummer but it’s another carrot for European unions. Italy might not like the idea of being at risk of relegation, but they probably love the idea of holding a New Zealand V Ireland final in Milan or Rome. One of my favourite players calling it quits at probably bang on the right time. In my opinion he is probably the the most complete 8, if not the most complete player full stop, to ever play the game. The sheer variety of his skills, especially during the 2011-2014 period, is just mind boggling. He has certainly slowed over the last few years, and I’m not sure he ever really had the same gravitas as captain that McCaw had, but then again who does? I see him as the last of the traditional freaks who have dominated the All Black for the last 10 years. Players who were in strange ways very traditional in their gameplay but were just out of this world in terms of their ability to to perform their roles and the special ability to add more. He leaves a big hole, with no clear captain in line and no clear replacement in the 8 Jersey. This is very true bigbaz, and it’s probably due to how long it took him to nail being an All Black. McCaw and Carter were number 1 choice within a year or so of getting an AB cap. Read was around the team a few years, playing 6 and not convincing. Also unlike the other two he still probably isn’t considered the best All Black in his position. Most New Zealanders, rightly or wrongly, would probably still give that accolade to Zinzan Brooke. Frizell is looking like the next major NZ 6 at this rate. Better work rate and tight effectiveness than Fifita, showing to be more consistent than Squire. As for 8, I like Luke Whitelock a lot, he’s such a great classic style of player. But it’s got to be Ardie, This last year or two he has really shown he should have been an 8 all along. NZ Players aren’t really the issue. They are broadly well managed in terms of workload as they are all centrally contracted and only the top 3 or 4 players can command that. They are also being payed $1m NZ total to cover both domestic and international. English players by contrast can earn close to £1m just on domestic pay before taking into account any additional payments for playing international matches. How many NZ players are taking below market value? Heaps of them. Same in Australia, SA, ARG, Wales, Sco and Ire. There are many players who turn down overall market value because playing for their countries is more important to them than money. The reason they get paid less is because their countries can’t offer them huge salaries if they want to keep the players below that who make up the various domestic levels. So yeah effectively they are taking a pay cut to support other players, though in fairness they probably don’t necessarily know that. Something missing in a lot of the broader discussion here is the context. Why is WR trying to get the World League idea up and running? Because they are concerned that Rugby is going the way of Football where the international game is sublimated to the club game. A consistent World League that brings money into National Union coffers can be spent on central contracting, increasing their bargaining power in their local markets and supporting the health of the game at a national level. I agree with all of the points made here. It is counter to the spirit of the game to shut out Tier 2 nations with lower commercial potential. Playing everybody once a year may also diminish the spectacle of test matches (though this seems spurious, it’s never been a problem for the six nations and wasn’t a problem for the Bledisloe cup before NZ dominance took hold). The pressure it puts on the lions tour is massively problematic (though the lions tour itself is problematic as it also excludes mainland European and PI sides). It devalues the world cup as the single time when the Rugby world comes together to see who is the best. The problem is that rugby needs to change if international rugby is going to remain the pinnacle of the game and relevant year on year. The international game needs something to boost its appeal over the club game, especially in France and England. What are the other ways of doing that? At the end of the day the world league represents something pretty close to the existing model. It’s about the same number of games and only really impact the RC, which is a pretty flat competition these days, and the mid-year tours which are also much maligned. I actually like the idea of the reverse grand-slam, England or Ireland seeking to get wins over NZ, AUS, SA and ARG sounds like great fun (even if I secretly hope they never pull it off). They need to sort out promotion relegation, they need to ensure classic match ups remain (Bledisloe 2 for example), they need to balance the travel requirements year on year as best as they can, and to ensure that every single game features the strongest players available for each nation. I just don’t see any better options on the table right now unless WR gets tough and and makes radical changes to Regulation 9 that enshrine international rugby the game’s priority. That’s pretty cynical TWAS. Many players, including some well payed and high profile ones, have stated they are happy to be paid less to play less given the strain of the existing system. Money is not the only driving factor for players. Also every single player comment I have seen has brought up the PI nations issue. Professional rugby players do seem to also care about the integrity of the game at a higher level than just making sure the are appropriately remunerated. Bit rough on the old WD there mate…. Jez, Some clubs are doing fantastically well while the competition itself is barely hanging on. Again using Subbies as an example, there are 1st division clubs that are running 5 or 6 grade sides and 2 colts. That’s the thick-end of 100 players at a single club. Other clubs are having to drop off grades because they can’t fill the player numbers required, and that is an issue that seems to be growing year on year. Every competition has it’s own foibles. My memories of club rugby in New Zealand are littered with too many examples of blokes playing when they shouldn’t through injury due to a sense of duty to the club. Also NZ Club rugby has a much stronger connection to the local population, given the position of Rugby in NZ society. Amateur rugby in Australia is very isolated, which also tends to lead to rather warped views about acceptable practices. These cultural issues need to be managed on a club by club basis, and clubs that manage them well stand a good chance of survival. My concern is the connection between amateur rugby as a whole given the focus of the games governing bodies on managing the professional game. Thanks Geoff, and thank you for sparking a topic that felt worthy talking about. Look if SAR dies because the players and volunteers aren’t there anymore, despite strong central support, then that is its destiny. My concern is that from where I sit, the vast bulk of rugby supporters in the country are current or former participants, with SAR participants making up a fair slice of that demographic. With the way things are currently, in 20 years amateur rugby will be reduced to a rump, leaving a lot of proud, bitter and angry rugby people that RA needs to keep onside in order to grow the fanbase. I just don’t don’t see the leadership at a national or state level. Most of the competitions battle on by the goodwill of unpaid local administrators. Honestly I think that best approach might be to carve the amateur game off from the state unions and RA and create a national affiliated union but that might be a bridge too far. The trouble with rugby as opposed to soccer is the barrier to entry. When you look at other major contact sports, your examples of League and NFL being prime examples, these are hugely physically demanding games which don’t lend themselves to the amateur player. Its only rugby’s history as an amateur sport, and the resulting benefits of the amateur club environment, that created the right conditions for the amateur game today. As I understand it there is a strong club scene for Aussie Rules, which is a physically demanding sport, but I don’t know if it’s well run or is well supported centrally. As for where amateur rugby sits in the overall structure? Frankly it doesn’t and it shouldn’t. There is a specific philosophical gap between amateur and professional sport and that should remain. There is a very small trickle between amateur and semi-pro competitions (i.e. Sydney Subbies and Shute Shield) but it’s incidental. The key point is that amateurs tend to be the most invested fans, the ones you need to keep onside, and part of keeping them onside is supporting the amateur game.